OLED Benefits - WiseChip Semiconductor Inc.
WiseChip Semiconductor Inc.’s mission is to be a socially responsible employer by providing a safe and pleasant working environment to workers. Technology is available in a variety of specifications, ensuring durable and trouble-free use. With our expertise, we have been offering quality OLED Benefits renowned for premium features at competitive prices. The nature of OLED displays significantly different from LCD and VFD, both in terms of performance and efficiency. 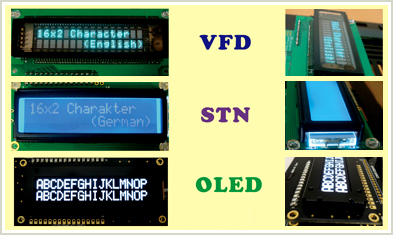 The following table lists the standard 16 * 2 Character type OLED display of WiseChip comparing with LCD and VFD16 * 2 Character type. Then you can clearly realize the benefits of OLED displays. Using OLED displays immediately, to enhance the value of your product! As a professional Technology manufacturer, WiseChip Semiconductor Inc. has an excellent advantage over the competition, developing strong designs at very competitive prices but maintaining extremely high quality. For more customized demands that can’t be found in our standard product lines, we also can offer solution to combine your specific requirements into our newly design standard products.